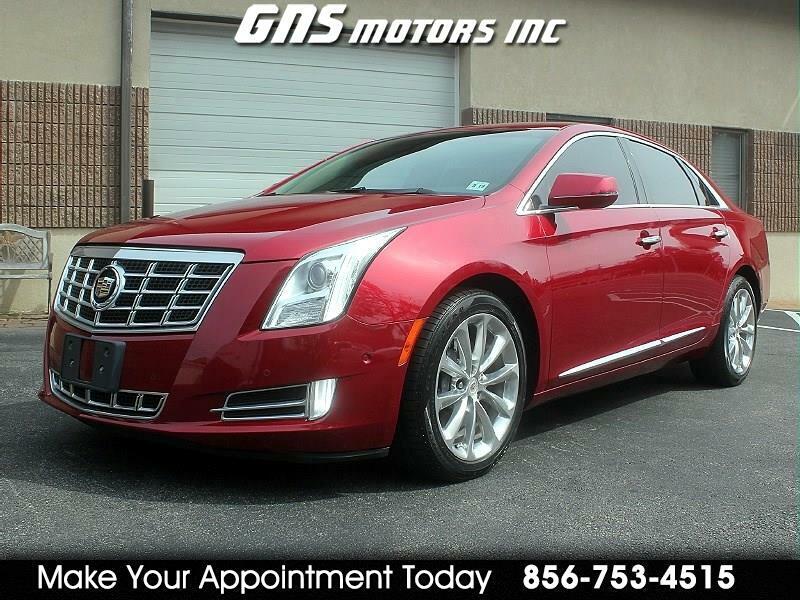 Used 2014 Cadillac XTS Luxury for Sale in West Berlin NJ 08091 GNS Motors Inc.
2014 CADILLAC XTS LUXURY * BOSE STEREO * ONSTAR NAVIGATION * SELF-PARKING * EXCELLENT CONDITION!! THIS 2014 CADILLAC XTS LUXURY IS IN EXCELLENT CONDITION!! AND LOADED!! * CHECK IT OUT ON YOU TUBE https://youtu.be/tA4zivXWPfc IT HAS ALL POWER * SELF-PARKING * ON STAR NAVIGATION * BACK UP CAMERA * HEATED AND COOLED LEATHER MEMORY SEATS * HEATED REAR SEATS * HEATED STEERING WHEEL * POWER HEATED MIRRORS * BOSE AM/FM SAT HD STEREO CD PLAYER * USB/AUX * BLUE TOOTH * STEERING WHEEL CONTROLS * FRONT AND REAR PARKING SENSORS * ADAPTIVE CRUISE CONTROL * PUSH START * TILT AND TELSCOPIC STEERING WHEEL * XENON HEADLIGHTS * FOG LIGHTS * TRACTION CONTROL * KEYLESS ENTRY ALARM * FACTORY 19 INCH POLISHED ALLOY WHEELS * ONLY 54,409 MILES * MUST SEE!! LIKE NEW!! 25 YEARS IN BUSINESS WE PRIDE OURSELVES ON HAVING NO HIDDEN FEE'S AND A NO PRESSURE ENVIRONMENT!! WE OFFER AS LOW AS 3.99% FINANCING!! .. ALL CARS COME WITH A FREE CARFAX .. WARRANTIES ARE AVAILABLE ON MOST VEHICLES .. PLEASE CALL 856-753-4515 .. TO MAKE AN APPOINTMENT TO COME SEE AND DRIVE .. OUR VEHICLES ARE KEPT IN OUR INDOOR SHOWROOM SO AN APPOINTMENT IS NECESSARY .. FOR MORE PICTURES AND TO VIEW OUR INVENTORY ONLINE GO TO... WWW.GNSMOTORS.COM ..